Are you looking for a fun filled activity with the kids, or something to do with friends? 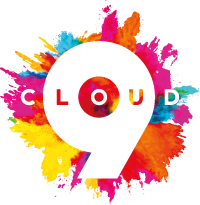 Look no further… Cloud 9 is a brilliant indoor family activity that kids and adults can do together (or separately!). Just imagine an inflatable arena which combines the fun, challenge and excitement of Ninja Warrior, Gladiator and Total Wipeout and a few other surprises. Imagine no more, that is the reality of Cloud 9. So, whether you’re an adventure seeking kid, or an adrenaline junkie, be you teenager or adult, there’s something for you! Cloud 9 is open on weekends and school holiday weekdays (10am-4pm). We are located at Francis Combe Academy in Watford (WD25 7HW). If you are looking for private hire and events we travel, please contact us to find out more. The sky is the limit at Cloud 9 when it comes to indoor inflatable fun. Whether you are booking a one hour general admission, a party, group event or private hire, we are here to bring you the most fantastic, fun and active experience possible. Book as a family activity, or just for laughs with friends. At Cloud 9 our birthday parties are legendary. We provide both catered and self-catered birthday party options. The minimum number for a party is 10 people, and all participants must be at least 1m tall. We guarantee maximum birthday fun and to wear out the birthday girl or boy. Don’t forget it’s not just for kids either, teenagers and adult parties are welcome too. Buy a Cloud 9 gift card online. The ultimate gift for any ocassion. Our gift cards are fully redeemable online. Please contact us with any questions you may have about our amazing indoor inflatable park.